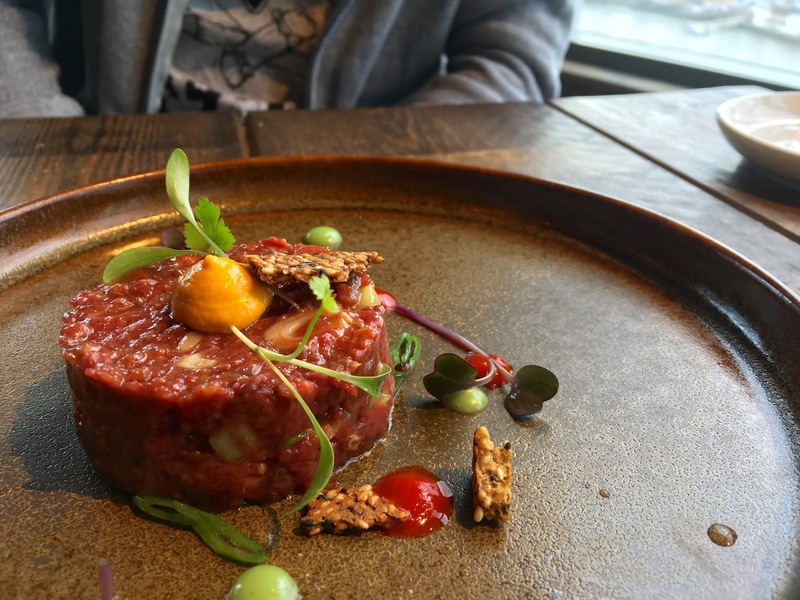 Bokan, the 37th floor restaurant at the brand new Novotel in Canary Wharf, opened its doors with a 50% offer during their soft launch. We decided to drop in after checking on our new home. Bokan translates to 'watching from the side' from Japanese. I'm not sure if there is any connection, but it wouldn't be complete nonsense as the restaurant offers panoramic view overlooking the city from the East. The dining room went for the trendy industrial look, paired with cowhide-lined sofa seats, brass pendants and wooden tables. Plenty of natural light from the large full length windows to show off the view. We were offered warm bread as we studied the menu, and decided to go a la carte. Grey oyster is not an oyster, it's a type of mushroom, so my ignorance got me unnecessarily excited. Despite so it was a gorgeous composition, the airy savoury emulsion was layered with nettle cream and a thick fungi reduction, mingled with small succulent mushroom morsels and a custardy soft poached egg. 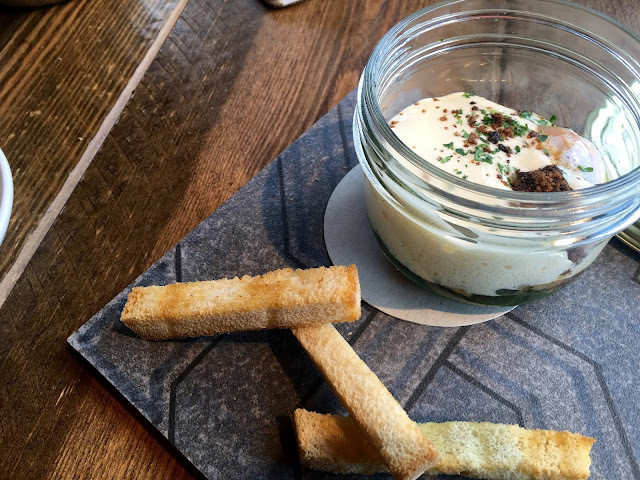 It was a small melting pot of intensely rich flavours, paired with some ultra crispy soldiers. Gorgeous. The beef was finely chopped to smoothness without losing its texture and bounce. It was infused with an Asian flare as small punched of wasabi dressing kicked in with a slightly chilli jam that reminded me of Korean chilli sauce. It was delicious; bold but balanced. I was surprised by the generous portion. 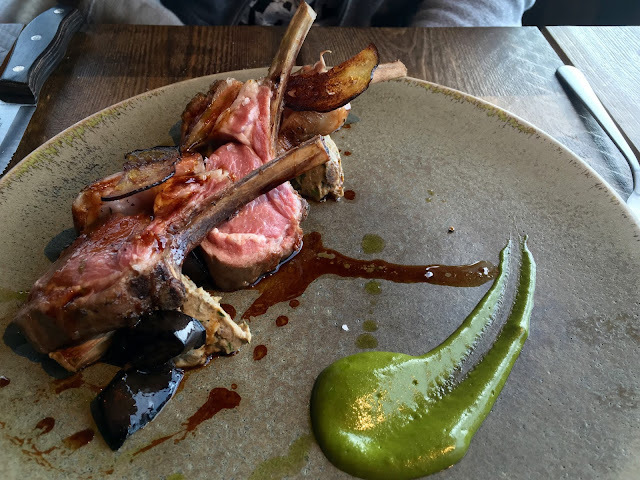 The lamb cutlets arrived more rare than medium rare, but still acceptable; meat was soft and the rind of fat added distinctive lamb fragrance to the leaner muscles, which paired well with the aubergine mash. The chimichurri sauce was lightly acidic to counter the smokiness in the aubergine and complimented the meaty lamb. The combination of ingredients is tried and tested, and the kitchen did a great job executing it. The hunky slab of pork belly was slow cooked to utmost tenderness; the fatty lard had dissolved, leaving its trace of nutty aroma with the soft meats that shredded away effortlessly with gentle pressure. 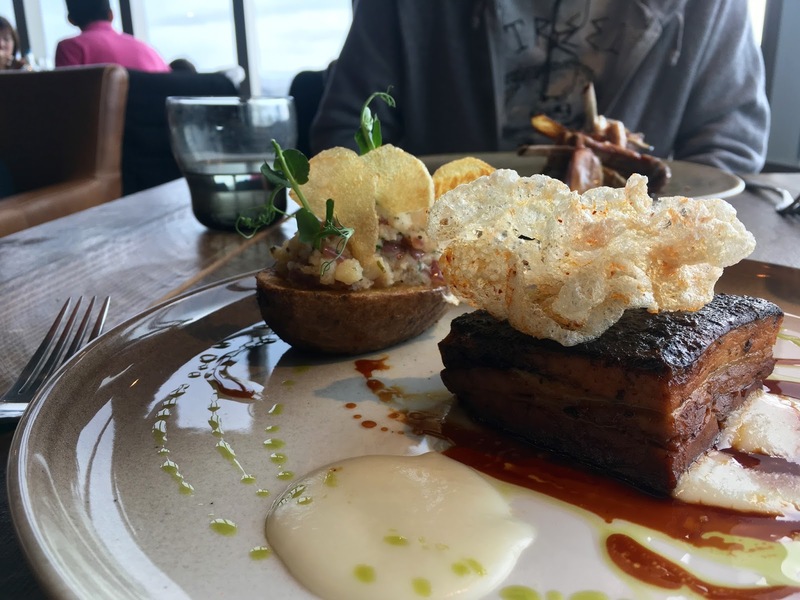 The crackling was delicious; it was airy and light, not dissimilar to prawn crackers only much much lighter. The crispness melted in mouth to a trail of piggy goodness. 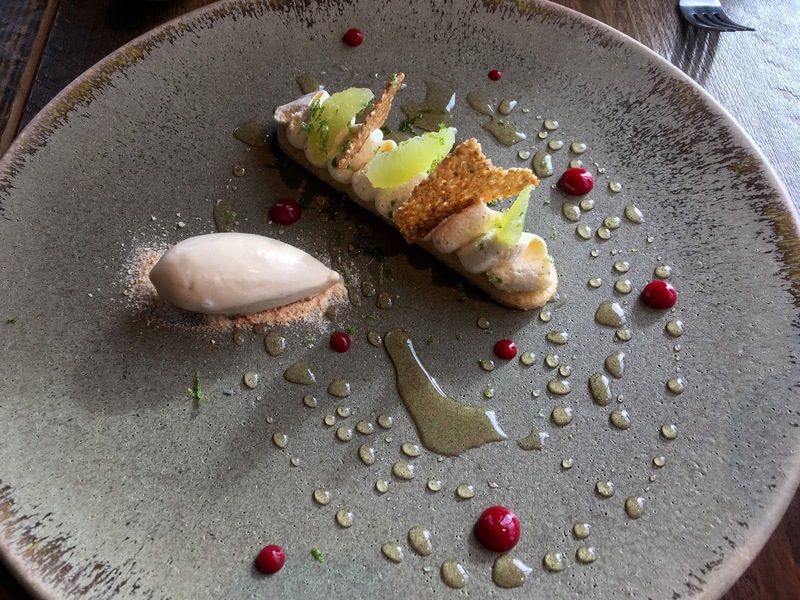 The apple purée was also quite interesting; it was more like cream infused with apple essence and had a very subtle acidic pinch. I can't decide if I preferred this to the more conventional apple sauce, but I appreciate trying something different. We wanted the chocolate soufflé with salted peanut ice cream but sadly they ran out by the time we had decided. So we opted for the yuzu tart instead. It was refreshing and light, delicious finish to an excellent lunch. Bokan turned out to be a very pleasant surprise. We were skeptical with most hotel restaurants, especially ones in the wharf, but Bokan far exceeded our expectations. The cooking was meticulous, recipes had a bit of twist to keep dishes current and interesting, menu offered a good range too. Even without the 50% offer, we thought the pricing was very reasonable for its quality. It's their 4th day into service and first Saturday with a full house, so teething problems with the serving team can be forgiven. Issues weren't major anyway; our server was still working out table numbers, manager was visibly flustered and water was slow to the table, but the team was enthusiastic and very well-mannered. We went up to 39th floor roof terrace before heading off. There was a great bar with an outdoor terrace with sofas and cushions; I should suggest this little gem for our next work social. The vibe and ambience reminded us of Duck and Waffle, minus the crowd. So many reasons to come back.